Eyelash extensions are all the rage right now as more and more spas begin offering the service. The pros of these thicker, longer, no-mascara needed lashes have convinced so many women to pay a hefty price for the service without considering the cons. Not only can it cost upwards of 200 dollars for the first set, but refills (every 2-3 weeks if you don't want to look ridiculous as they fall out) are also about half that price. What seems at first to be a 'low maintenance' alternative to wearing mascara (which can be irritating for sensitive eyes and a hassle to remove) is actually pretty time consuming, very costly, and damages your lashes. Many of our friends have been devastated after getting caught in bad cycle with these lash extensions. 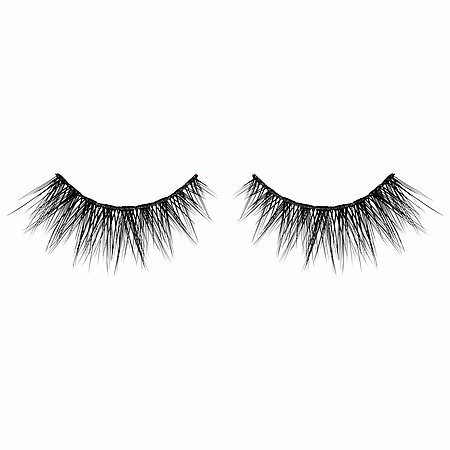 The more they go, the thinner and weaker their natural lashes get (weighed down by the lashes and glue). And then you HAVE to keep going right (or so you thought)?! Not to mention some people have terrible reactions to the glue. It's a lot like over bleaching your hair. We have to realize we don't need to look like we're going to Academy Awards every time we leave the house. Natural is the new beautiful so embrace it! You will save yourself time and money! They always say the first step is accepting that you have a problem (or that you've made a mistake). So, if you are one of those people here's your first step, STOP GETTING EYELASH EXTENSIONS! You have to give your natural lashes a chance to grow back. Yes, there are overpriced eyelash growth serums, but sometimes chemicals are not the solution (it's the last thing you need at this point). We have an all natural potion you can make yourself that is way better than anything you can buy and will have your lashes healthier, thicker and stronger than ever before! Go to an all natural health food store or somewhere you can find the following ingredients. Source of Omega 6 and 9 fatty acids and other proteins, and vitamins (high source of vitamin E) that are well known to encourage hair growth. Speeds up hair growth and thickens hair. We could go on an on, but you've probably noticed all the coconut shampoos and conditioners. It helps to reduce protein loss in both damaged and undamaged hair. Coconut oil is rich in lauric acid which nourishes and strengthens hair. Finally, it has a low molecular weight allowing it to penetrate the hair quickly and easily. Higher fatty acid content than olive oil (often used for hair treatments) and very high in vitamin E. It promotes hair growth from the scalp! Add all the ingredients into a clean jar or container of your choosing. About 1/3 of each ingredient. Shake it all up! Every night before bed take use a cotton swab, clean fingers, or a dispensable one time use eyelash brush, to apply the serum all over your lash line and lashes. What will happen? Your lashes grow in cycles but eventually your new ones will grow in healthier and longer. This serum will help them grow FASTER and STRONGER than if you went the all natural approach. It's effective, but don't expect a miracle overnight. These things do take time. In fact even if you haven't had a traumatic eyelash extension experience, this serum will strengthen your lashes allowing them to grow longer. We know plenty of people who use this on healthy eyelashes. The serum will also help repair the weaker lashes. Lastly, you will have saved yourself 4 hours or more a month and god knows how much money! If you miss your eyelash extensions desperately then get some temporary ones for special evenings out and remember how nice it is to have REAL eyelashes! Once you're back to natural lashes, you can curl them and apply mascara for the same effect. However, if you really want the curl to last, heat the tip of your eyelash curler with your blowdryer first!